I no longer have to mow my front yard and it’s wonderful! One problem I had with my front yard is that I could not get grass to grow. The previous summer I tried to revamp the lawn with no luck. I purchased a chemical recommended by a Home Depot employee (I really didn’t want to use it, but I didn’t know any other way). I also bought a large bag of grass seed. The materials ended up costing $80, which is no small amount for that. Well, it did absolutely nothing, so I wasted a lot of time, money, and thought. The new grass didn’t grow. The chemical just killed what grass was left and allowed weeds to fill in. The weeds grow so vigorously it now had to be mowed more often. One reason I decided to turn the front lawn into a garden is because of maintenance. You may think, ‘Wouldn’t a garden be more maintenance?’ The maintenance of the lawn was not only trying to keep it lush and green, but also the weekly maintenance of mowing. The problem is that I have a riding lawn mower, and I have gotten stuck trying to get it through the back gate. I’ve also gotten it stuck on a small slope between my yard and my neighbor’s invasive nandina shrub. I also spent a good while weed eating the whole easment, since I had no other way to cut the grass weeds there. Needless to say, mowing the front yard wasn’t fun and I’d put it off. So instead, I decided to turn the front yard into something great. Thankfully I was able to get wood chip mulch and cardboard for free to get rid of the lawn for good. 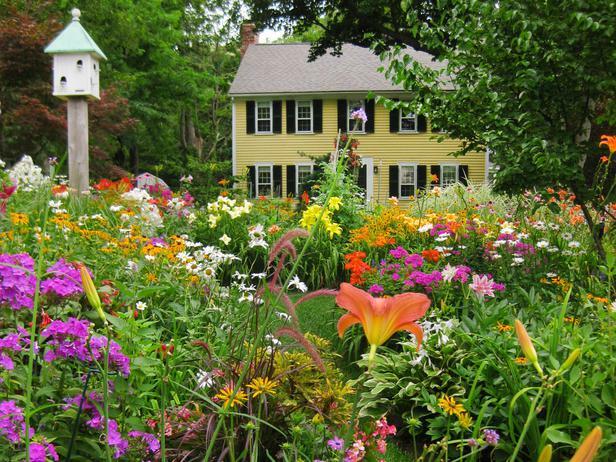 There are several ways to turn your lawn into a garden. It can be done in sections at a time as resources, time, and energy allow. Have a plan. You want to go ahead and make a full vision as to what you want the garden to look like when it’s done, even if you only take steps at a time. This includes what plants you want, a layout plan, and the steps to get to your final vision. A landscape design company can be hired to help you with this. The layout should consider all plants including trees, evergreens, shrubs, perennials, annual areas, hardscaping such as pathways, slopes, and special design features such as structures, rain gardens or art. 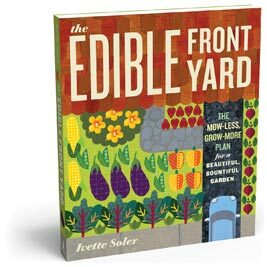 It’s bad to just begin cutting away soil without a plan and filling in haphazardly with plants. This will probably cause more work later when you have to redo things such as moving plants. Locate Materials. You should have a plan and adequate funds to coordinate with your plan. This includes purchasing materials and getting them onsite when you’ll need them such as plants, mulch, and hardscape materials. Chose a Method. There are several methods to turning lawns into gardens. 1. You can kill the grass outright with chemicals, but I would advise against this. Sometimes it still comes back, puts poison into the ground (which will be bad for the plants you plan to put in) and you will still have root systems to deal with. 2. There is the sheet mulching method which uses layers of organic matter to smother the lawn. I believe this is the best, and is what we did with my lawn. It puts good soil structure back into the ground and really snuffs out the weeds and grass. It also breaks down very easily and once it’s down, there’s no more to do. You can also find cardboard for free from businesses. 3. There is also the method of plastic sheeting to kill out the grass. This takes longer than the cardboard mulching method. 4. Lastly, there is the dig out the sod with a shovel method. This is best if you’re doing small areas at a time and you want instant results. If the sod is nice it can be reused to fill holes in the yard or low points. Benefits of turning your lawn into a garden is that you no longer have to mow or weedeat. Which also means not buying gasoline or maintenancing a lawn mower. It reduces air pollution and noise, conserves water, and eliminates the use of lawn chemicals if you used them in the first place. Once the initial investment is made to turn it into a lawn, there is minimal work. The only maintenance is taking care of the plants, which can turn into a family activity. It also increases the chance you’ll get to converse more with your neighbors (which turns into networking and opportunities). I’ve met a lot of people in my neighborhood since turning the front yard into a garden. Lastly, you’ll also be benefiting birds and pollinators by creating this much needed habitat for them. 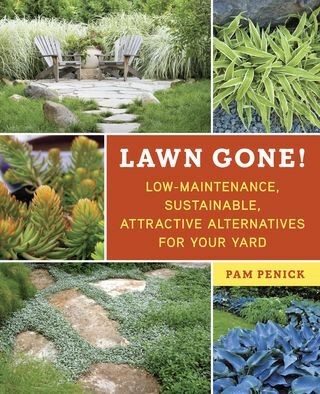 Here are a few books that will provide useful information on turning your lawn into something awesome.